There are a lot of options in terms of search engine optimization software and tools on the market today. In fact, there are multiple tools for just about anything you want to do and multiple tools that try to do them all. Personally, I like to use a lot of SEO tools. Unfortunately, that will increase the ongoing cost of software to support clients but I feel having the right tool for the job is paramount. This is by far my most favourite piece of SEO software out there. It’s important to note though that this is desktop software and not a web-based tool, which I understand can be limiting for some people, however, it’s totally worth it. Competitive on-page SEO analysis – In a few minutes of crawling and examinging the data of competitor’s websites you can determine what sort of URL / Silo structure they are using and whether or not they have likely invested in good on-page seo. 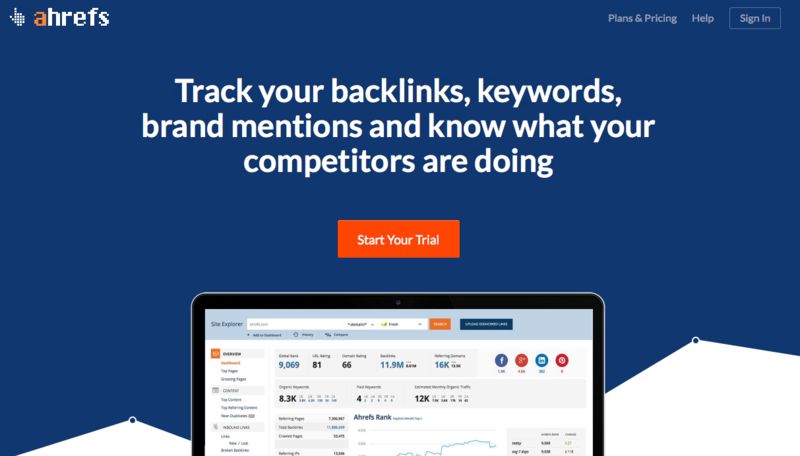 Great tool for a quick check on your competition. On-page SEO Audits – similar to using it for competitive audits, you can use it to audit your own website’s on-site optimization. 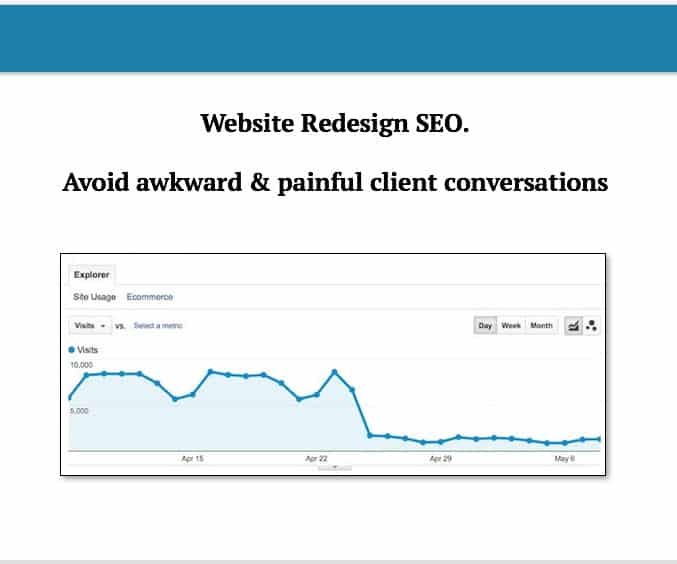 This is great for client audits or collecting data to put together a proposal for your clients to understand the state of their website and how much work it might take to properly optimize it. Keyword mapping document preparation – this is a big one.  Since I love to pull existing page data while preparing a keyword mapping document (this adds value to the document and lets the client quickly be able to compare the changes that you’ve proposed). 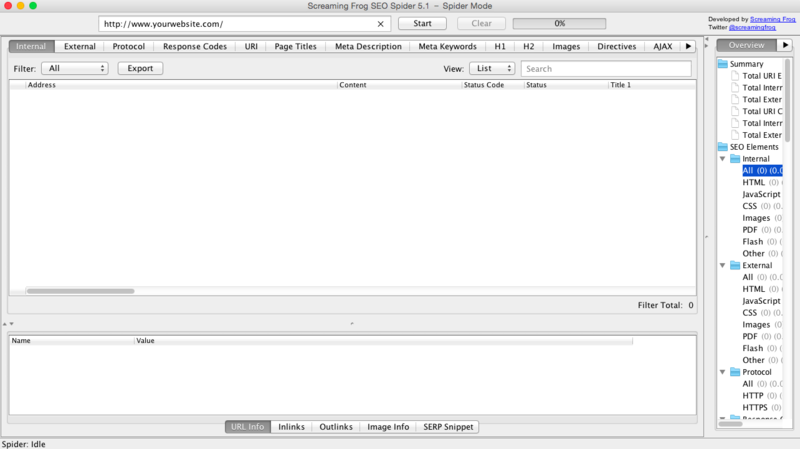 Screaming Frog lets me quickly pull the page structure and the meta data that I need to populate and setup the document. Building out Private Blog Networks – another plus for screaming frog is that it gives you the ability to find high authority domains without having to rely on expensive software or bidding at auction. Finding cheap 301 backlinks – another grey hat strategy that is great for kick-staring new websites. I’ll be creating a specific guide on using Screaming Frog in the future. AHrefs.com is an all-around SEO tool that can be used for many things, including link profile analysis, keyword research, content idea generation, and competitive research. This is one of the best tools that I have used for link profile analysis. AHrefs.com seems to find links more often and faster than Moz or Majestic. However, that’s about all I use it for. While I do believe it’s worth the hundred dollars a month to get excellent insights into your own and competitive link profiles, I understand the reason why some people may not feel the same way. Now Moz.com Pro has a lot of different tools to use for your SEO business. I think this was the first SEO app that I purchased years ago when I got into the industry. It really does have a lot of value. OSE link profile analysis – I like having open site explorer to check link profiles in addition to AHrefs.com (but I wouldn’t pay for Moz strictly for this). It’s a great tool and while it works well I feel AHrefs.com has performed better at finding more links. Keyword research – Specifically I use moz for their rank checker and for their keyword difficulty analysis tool. I like both of these for quick keyword research. I don’t use the rank checker for ongoing checking, rather I use it to do a quick check on some targeted keywords when performing audits or preparing a keyword research document. Also, their relevancy scoring tool is a great value-add for keyword research. The real value for me is in the keyword research for this tool. Another great tool that flies under the radar a little for SEO professionals. This tool is great for competitive research for both SEO and SEM, but I really like its keyword positioning tool for organic search. This is great for keyword research and identifying opportunity in both head and long-tail keywords. Majestic’s trust flow and citation flow metrics are becoming widely accepted as a gauge of quality. If you are building out a PBN or doing a lot of expired link building having Majestic is a must to do the digging in terms of backlink quality and TF/CF ratios. This tool is also very good at picking up inbound links and if cost is an issue I would likely drop AHrefs over Majestic as this tool gives me the benefit of being able to compare trust and citation flows of domains. Advanced web rankings is a great tool for bulk client ranking analysis. 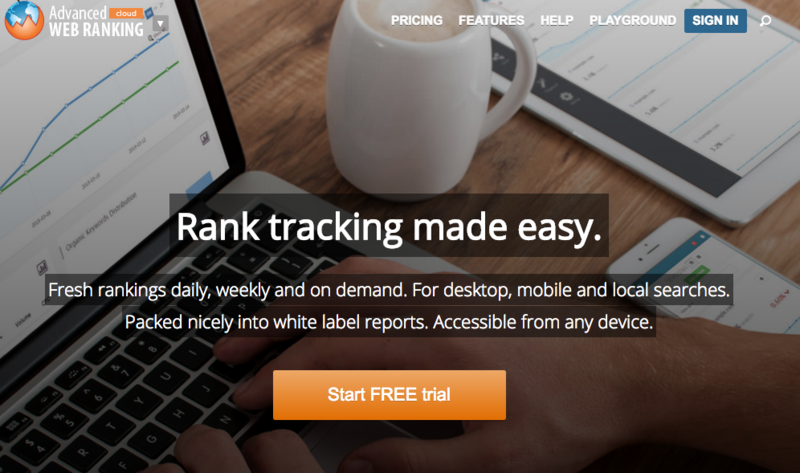 If you need to report on ranking changes for multiple clients this is likely the tool for you. There is decent functionality in terms of grouping keywords and exporting data and a few limitations as well. Overall it’s a great tool and fairly affordable for how accurate it is. 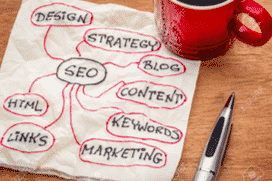 Choosing the best search engine optimization tool isn’t going to make or break your business. I understand that some companies differentiate themselves on having access to the best software solutions available within their industry and that’s great. I think it’s important to use the right tools for the job, but I also know that no SEO tool replaces experience and an excellent planned out strategy. So while you can leverage great tools to add value to your services and deliverables, just make sure you’re building your business on a foundation of excellent talent and experience.